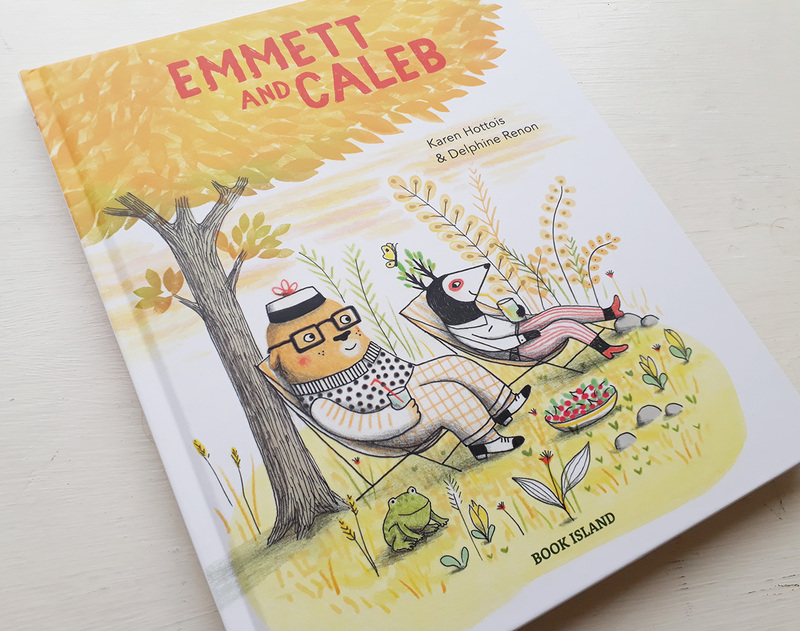 Emmett and Caleb is a children’s book about two creatures who are both friends and neighbours, and narrates their experiences throughout four seasons. The story is primarily about friendship, and weaves a strange path through the ups and downs of these two creatures and their love for each other. 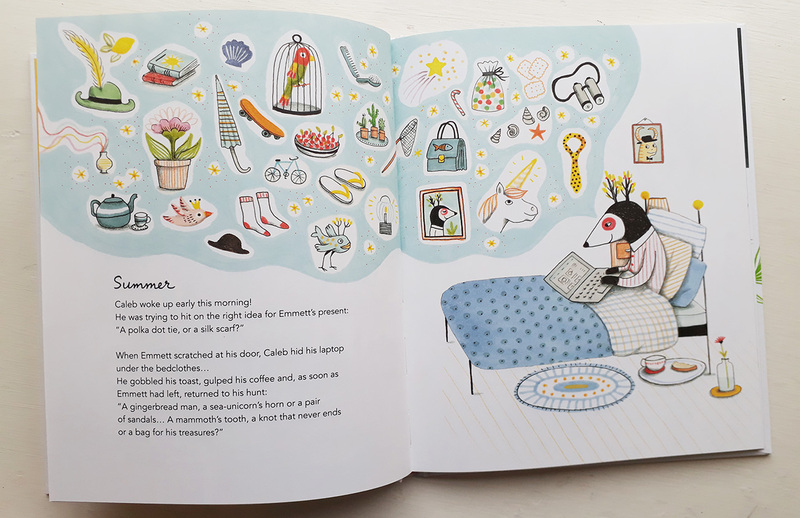 The book has been translated from French, where it was entitled Emmett et Cambouy, and so you won’t be surprised to learn that both the author and illustrator are French. The author is also a renowned casting director, which has no bearing on my review, but I found it out so I thought I would share. 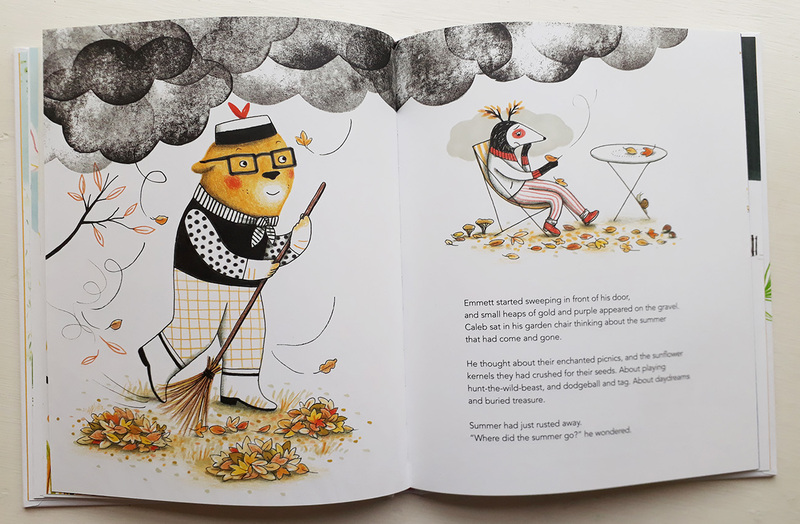 The illustrations are produced by Delphine Renon, and if you follow the link to her website you will see that Emmett and Caleb is very typical of her style. I have no idea what creatures Emmett and Caleb are, but they are very unusual, and their design fits the story and is consistent throughout. The illustrations are produced in a very subtle style and colour scheme, and really do set a calm and steady tone which carry the words of the story brilliantly. My favourites are the woodland scenes, the detail and colouring of which are wonderfully reproduced. 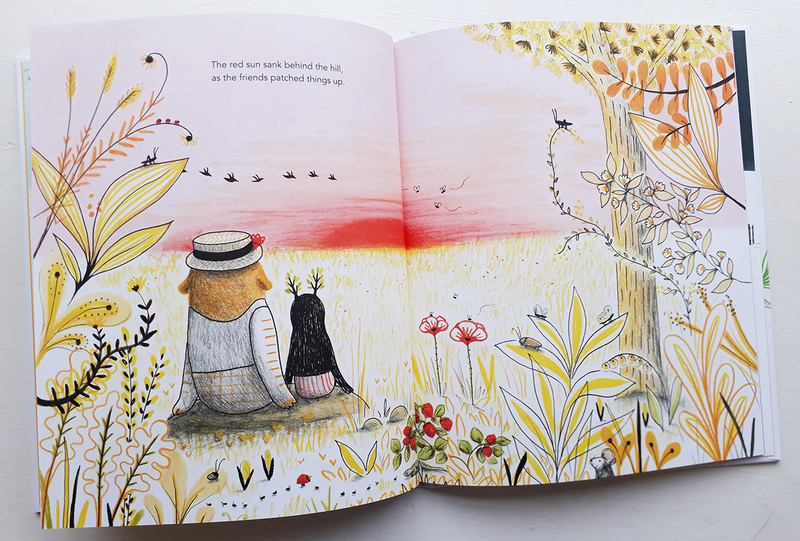 For me there are three crucial elements within this story; the friends, their emotional responses and their setting, and the illustrator has nailed all three of them. If you are looking for a simple story akin to Roger Hargreaves Mr Men series (which I love, and I am currently rereading as I received the complete collected edition for Christmas) then you won’t find it in this book. The characters are unusual, their interactions are complex and the plot meanders about through the seasons with no firm direction. 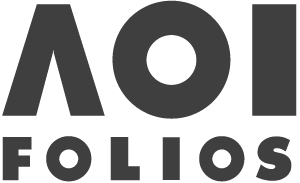 It does read well though, and Renon’s illustrations perform the role we all aspire to as illustrators; to enhance the words we are given to work with. 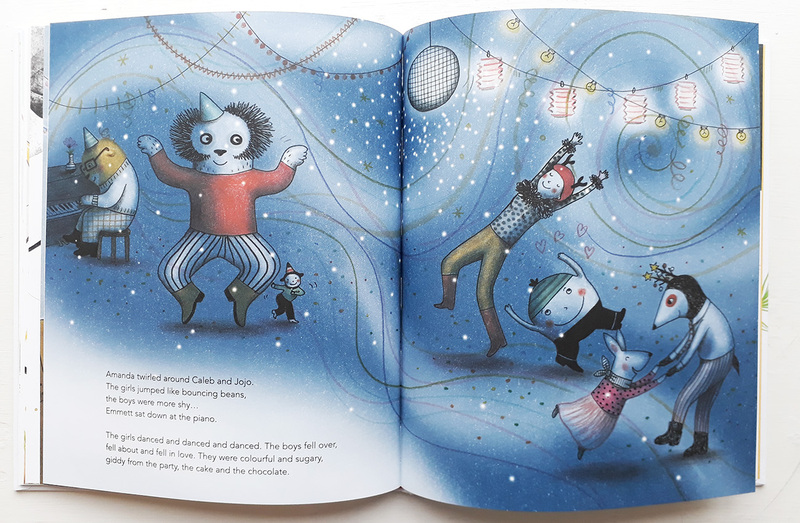 It is very pleasing to look at, and as long as you are prepared for a barrage of questions from any children you read this to, I reckon it would be a hit.